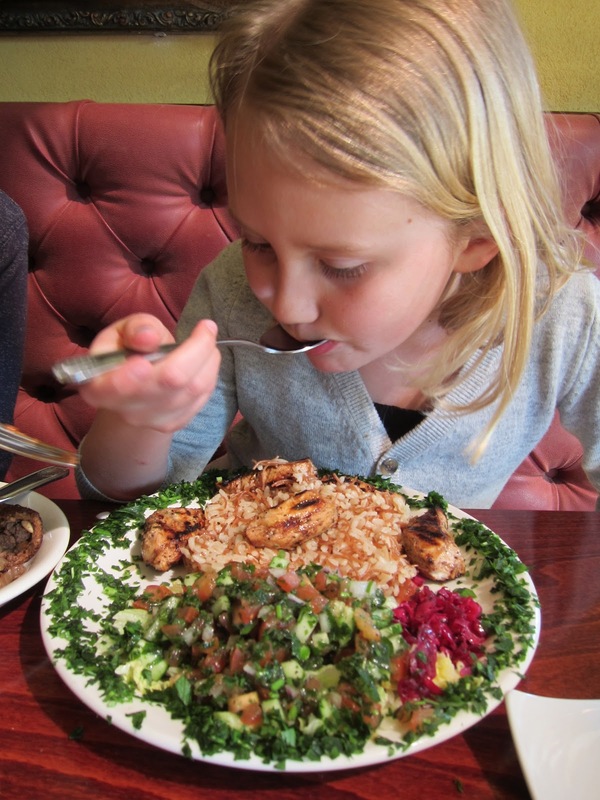 Over spring break, we finally visited Tanoreen, the much-talked about Middle Eastern restaurant in Bay Ridge. It was easy to drive to, but it's also one block from the R train. It's fantastic--we thought we under-ordered and were going to have to order more, and we ended up coming home with leftovers. I'd go just for the hummus, it's that good. If you go over that way, you could check out Owl's Head Park, also known as "Bliss Park." But we really just headed straight home, so I'm just going to link to a Time Out Kids article that was done on the area.